All chamber members are welcome to offer a discount to fellow members. Get 10% off of our regular fee. Hamilton Chamber Members receive 10% OFF of BEST AVAILABLE RATE! All Hamilton Chamber Members receive a Complimentary Consultation for their accounting and bookkeeping needs. $50.00 off your first order! Looking for a promotional products supplier with "Wow" - service on over 395,000 products...Call us! We offer a one-hour complimentary consultation to Hamilton Chamber members on your exterior property maintenance or landscape construction projects. Let us help you understand your landscape and how to make the most of your landscape to enjoy and protect your investment. Commission Discount with New Listing! List with me and I will reduce your commission! All Hamilton Chamber of Commerce members receive 15% off. Call at anytime for a free consultation about real estate investing in downtown Hamilton. Get 50% off The Strategic Communications Audit Program at Crystaldonak.com. Contact Crystal to book a time to review how to align your communications with your business goals, helping to grow your business through authentic engagement with your ideal clients. Chamber members and their associates get 20% discount on basic and preventive dentistry and 15% discount on major procedures. Contact: Ignatius on 905.574.9617 or admin@drprathanadavladentistry.com to book appointments. All Chamber members receive a FREE Alignment Check when booked through Scott and mentioning that you are a Hamilton Chamber Member. Chamber members receive a special rate for a one hour website photo refresh package. This includes a photo shoot at one location of your choice to obtain images of the people, location, service or product and processes of your business. Receive 50% off all of Our Weightloss Programs *some conditions apply Ewyn (YouWin) wants All of you to Be Weightloss and Nutrition WINNERS! 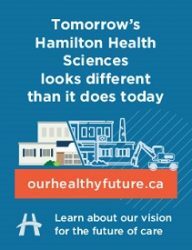 Please contact Justin @905-769-0848, option 1, to validate your membership with the Chamber to receive a 10% discount on the following packages: -One-month unlimited -Kick-start Please visit: f45training.ca/hamiltondowntown and click: "PRE OPEN MEMBERSHIP OFFERS" to learn more. New Business Clients: 10% Discount on your year end work including statements and filing of Corporate T2 Return. Also available, One month's free bookkeeping when you sign up for a twelve month engagement. Up to 20% off of Shredding Services! Get up to 20% off of our regular Secure Confidential Shredding services. Each box we shred for you helps us connect someone in our community with their next job. Some conditions apply. Please contact us by email or phone for details. Christopher Wade at 905-526-8482 X288, cwade@goodwillonline.ca, http://www.goodwillonline.ca. Hamilton Chamber of Commerce Members will enjoy up to 30% off on all window fashions. A thank you to all our Chamber of Commerce colleagues. car wrap, storefront graphics, office privacy windows or/and any decals or graphic order. 10% off any Thermal Heat Remediation BedBug Service. We offer multiple services, from real estate and business development, coaching, property animation, and property analysis. Buy any 3 advertising products and get 25% off. Contact Diane at 905-522-1151 ext. 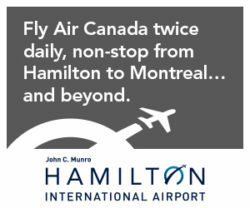 220 or email d.stephenson@hamiltonchamber.ca for more promotions and information. Use the promotion code "Chamber25" to receive 25% off Hamilton Comic Con admission tickets. The offer is valid until October 12, 2018. Visit http://www.hamiltoncomiccon.com, click on Buy Tickets and use the code on the order page. 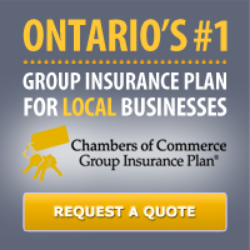 This is an offer for only Hamilton Chamber of Commerce members. Hamilton Comic Con takes place on Oct. 13th and Oct.14th. We offer a complementary one (1) year of FREE Web Site Hosting for all Hamilton Chamber of Commerce members who contract with i2b Global for their website development or redevelopment project. 15% Hourly Rate Reduction on Select Services (see below). Member status and discount must be discussed prior to the start of work on any project. Save the 15% on your Video Business Card! $2400 inc. Tax A Video Business Card is a video introduction to who you are, what you do, how you do it, and why people should use it. This is a great way to build an immediate connection with your existing or potential customers, boost your SEO, and get your company's name out there. 50$ off any Face or Body treatment. For anyone that is a member of the Hamilton Chamber of Commerce, you will receive 50$ off any 'Face or Body' treatment off the regular price. Call us today for your FREE consultation. Lean Six Sigma Institute c/o Intercambi Inc. Receive 10% off on Wills and Real Estate Transactions. I would love to get to know you, and your business communication/training goals! I am offering a free demo video of your choice up to 15 seconds long, with an initial meeting and an hour of shooting. Member to member discount will vary according to the business and will be communicated at the time of the deal. Receive a special Chamber member discount on all our products and services. For more information about Modern Cleaning visit us at http://www.modernhamilton.ca or visit us at 301 Nash Road North, Hamilton. Save the date and join us for our grand opening on March 21, 2019! A subscription to Harrowsmith is $30 a year (4 issues). Offer for Chamber members is $22. Save 20% off of your first massage. After your free consultation, Chamber Members will receive 10% off the Social Media Starter Package. Save 15% on Apparel. Contact us for details. All Chamber members receive 10% off Training Services. For Hamilton Chamber of Commerce Members I am happy to provide full management services at a rate of 7% of rent versus 8% for all other clients. If you have a website and you have Google Analytics installed, you've probably seen the amount of data it can provide. What does it mean? What should I be looking at? These are some of the questions we answer in a one-hour review session, totally free. Discount off the value per ticket price on an Original Hamilton Beer Tour. Book online at http://www.originalhamiltonbeertours.ca and use promo code hcoc. $50 OFF all orders over $200 for Hamilton Chamber Members! Chamber members can save 10% on projectors, cables and other business equipment online using promo code HCOC2015. 10% off any residential construction project, and free initial design consultation. Chambers Members receive 10% off all healthcare services including Personal Care, Home care, Nursing care, Hospital/Private Duty , Respite /Palliative Care, Alzheimer's & Dementia care, Foot/Wound Care, Medication Management, Transition to home care, Live-in & Overnight Care, Companionship Aids and a lots more. With the Hamilton Chamber member discount you will receive 15% off your bill at Shoeless Joe's, Hamilton location. Visit Sleepangel.ca and shop online. Use coupon code "HamiltonChamber" for an additional 10% off our monthly sales - and shipping is always free. Thank you Hamilton! Consultations are always free for the first hour however members will receive an additional 1 hours of services free with any signed Service Agreement. 15% off any food items an non-alcoholic beverages. We're happy to provide a no-cost visit to your place of business and discuss your I.T. needs. And if you’re a Hamilton Chamber of Commerce member, we’re happy to offer a reduced hourly rate for the first six months of services. Cheers! Buy and Sell your home with Lorraine Hughes for a discount on your commission rate. Exclusive for all Chamber Members: Receive 15% off all of your home and office needs. We carry a wide range of cleaning chemicals/toilet paper/paper towels/mops/brooms/garbage bags as well as plastic cutlery/plates and cups. We even carry a full line of pesticides and rodenticides! Visit us at http://www.thecleaninghouse.com. The Generator will analyze and discuss your current social media presence and ways to improve or begin marketing your business. 10% discount at the restaurant. This does not include alcohol. Get a discount on your first Uber ride. Enter promo code "uberschafer" for a discount on your first Uber trip. 10% discount to all members for monthly office cleaning. Exclusive for Chamber Members, 25% off of Financial Wellness Centre Uptown Business Club Platinum Corporate Membership Package (reg. $99.00).